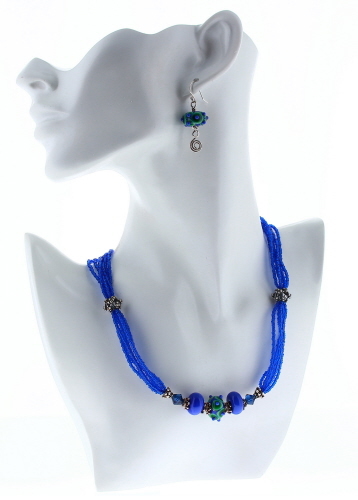 A 3 piece set, using sterling silver wire and findings, lampwork glass beads and seed beads. Necklace can adjust in length from 18½ - 20 inches, using individually hand formed links. Necklace weighs 1.3 oz. Round, sterling silver wire is used to create the clasp and spiraled findings in this bangle bracelet. 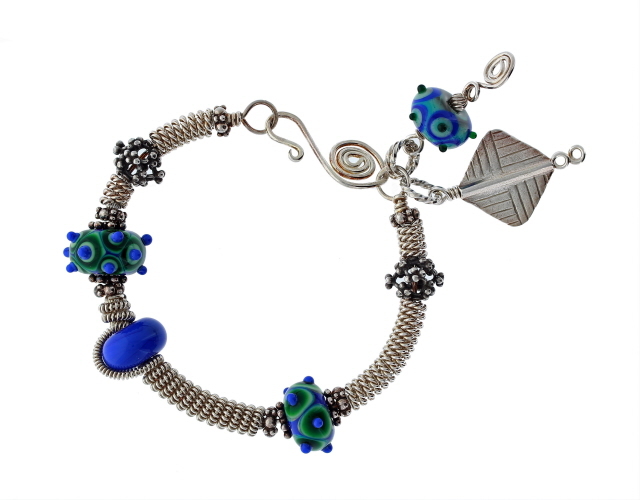 Best fits a wrist measuring 6¼ - 6¾ inches and weighs 1.6 oz. 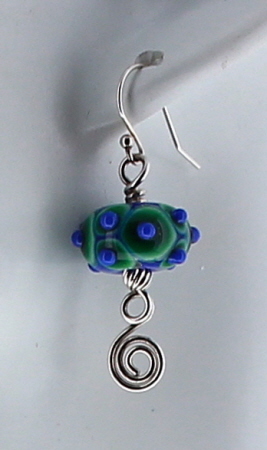 Earrings measure 1¾ inches from top of earwire to bottom of dangle and weigh 0.15 oz each.